After bringing the Lombardi Trophy back home to Denver, the Broncos definitely got to celebrate. 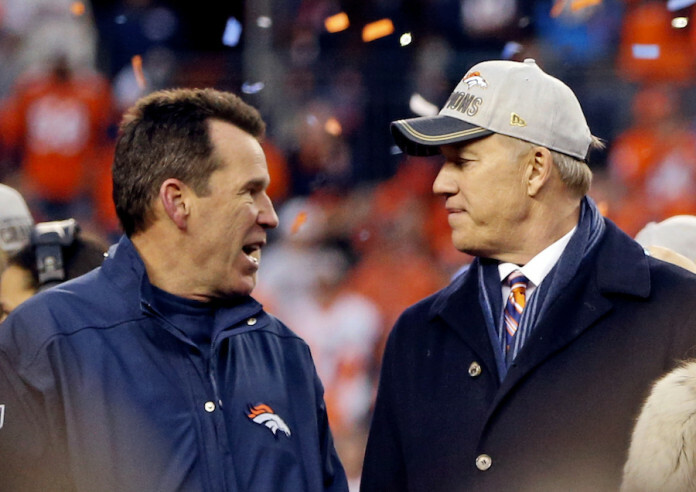 However, with the NFL Combine nearly underway, the Broncos have some decisions to make. Contracts are up, free agents are about to cloud the market, prospects will need to be evaluated, and of course the big elephant in the room: Peyton Manning must make a decision. Some of the key players from the Broncos’ championship team are in jeopardy, and John Elway is set on finding a way to make things work. What he isn’t set on, however, is rushing into anything and making rash decisions. On Thursday afternoon, Elway spoke with the media from the NFL Scouting Combine about his offseason plans to sign big names like Von Miller and Brock Osweiler.